tags: fix it, Kevin, oversharing, plumber, service, welcome! 1) 2 weeks ago to fix the hot water hose on my washing machine. 2) 1 week ago to fix the leaking bathroom sink plughole pipe. 3) this week to unblock the bathroom drain. After unblocking the drain Kevin gave me, for free, his spare set of rods and tuition on how to unblock the drain myself. Awesome, with Kevins thoughtful tution I am gradually learning the basics of how to look after my home. 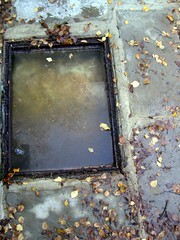 Kevins outstanding full service cost less than the basic call-out charge of any of the online drainage services. This scribble was published on Thursday, November 20th, 2008. You can follow any banter on this scribble with the RSS 2.0 feed. You can share your inspired musings after typing the anti spam word near the bottom of the page. But no Pinging because its too naughty. Kevin gave you his rod?! So now you’ll have to find some plumbing incident that can be easily engineered but not fixed by rods? If I ever need a set of ‘Rods’ I know who to come to! Do you need a set of ‘Clamps’? Not only handy for plumbing emergancys thay also come in handy when you run out of lovable scamps in victorian dress to stuff up the chimbly, an esentlial chore for the house proud, pre santas visit.